Prins Hendrikkade 48, 1012 AC AmsterdamOpen: daily from 8:00 to 20:00. 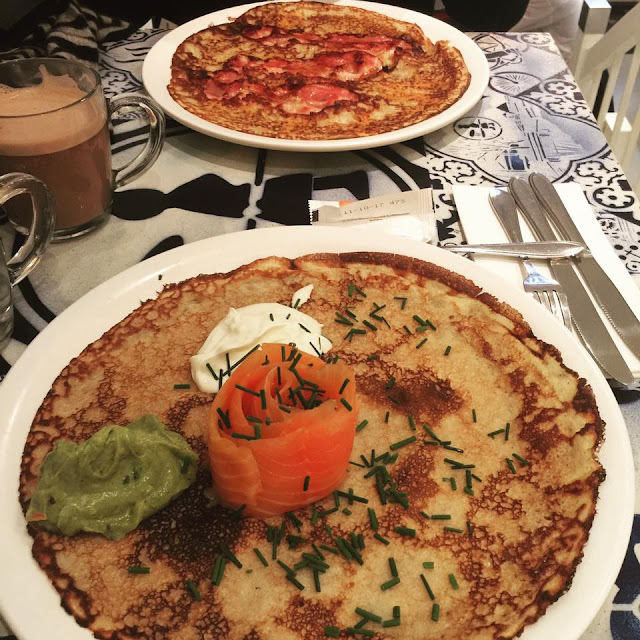 Pancake is the national food of Netherlands. While we can't live without nasi lemak, the Dutch can't live without their pancakes. 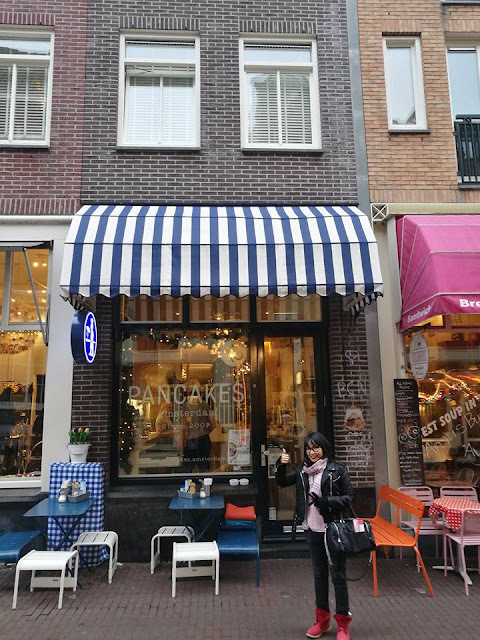 Being first time in Amsterdam, I have no idea where I can get a good pancake. Pancake Amsterdam keeps popping up on every print leaflet and magazines that I got my hands on since I reach Amsterdam. There are two sides of review on the place - some said it's overrated but some praise the food. On the first morning, I decided to have an original Dutch breakfast there to try it myself. 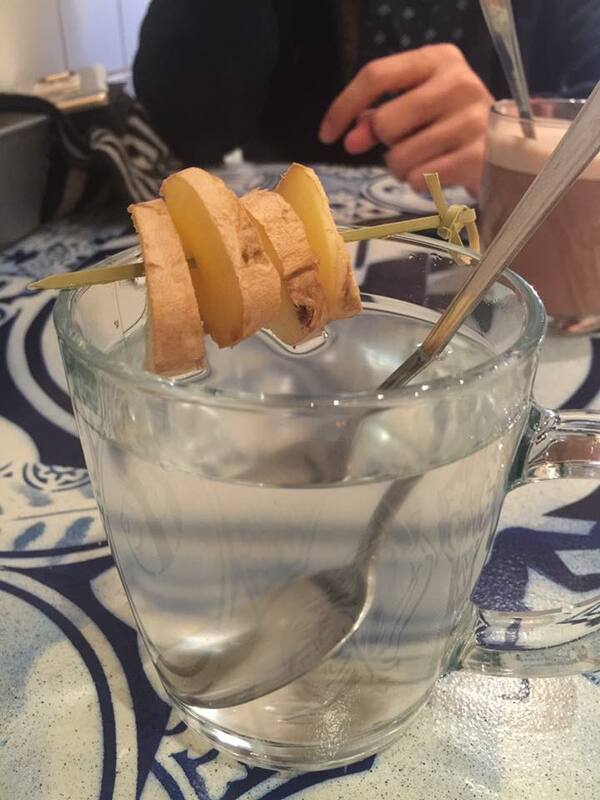 On a cold winter morning, I settle for a cup of comforting ginger tea. It's my first beverage since I first set foot on Amsterdam, the change of weather got my nose running and the ginger tea is absolutely a savior! 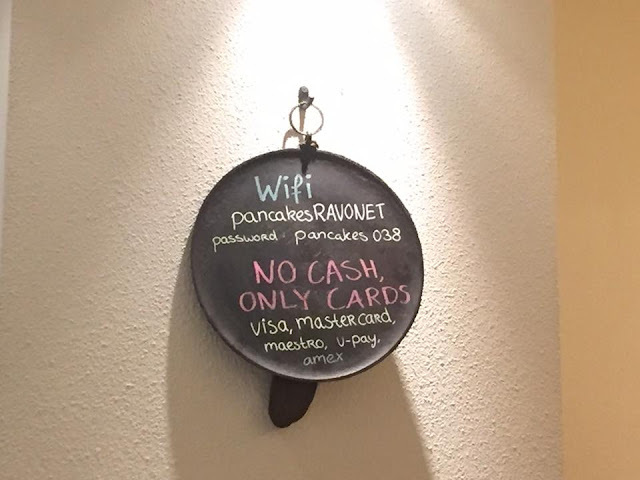 On the next day, I craved for more pancakes. The bacon and cheese pancake really got me so addicted. It's amazing that I even passed by another Pancake Amsterdam shop opposite the Centraal. I feel like God answered my prayer. I wanted to get a different flavour, so I ordered the ham and cheese. On the first bite, it was a great regret. It's not like it's bad or anything. 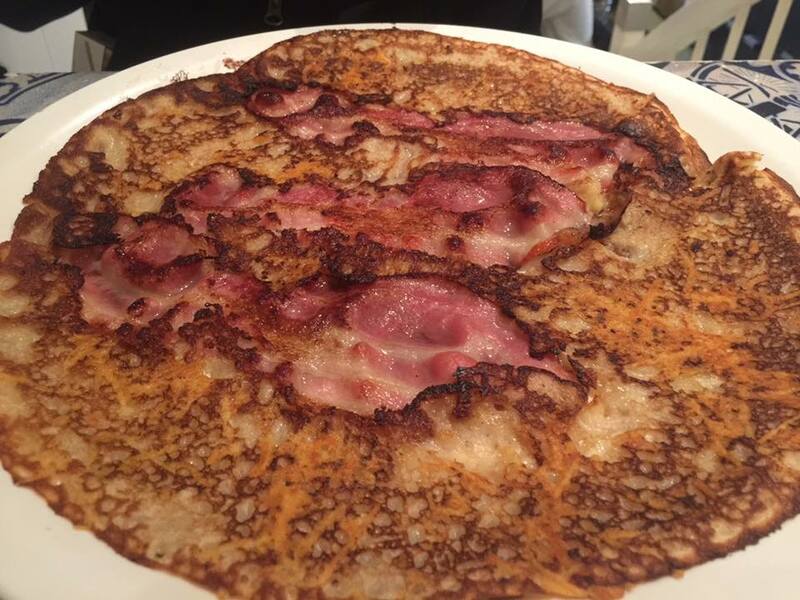 But I've tasted the bacon and cheese and it was so much better than the ham. 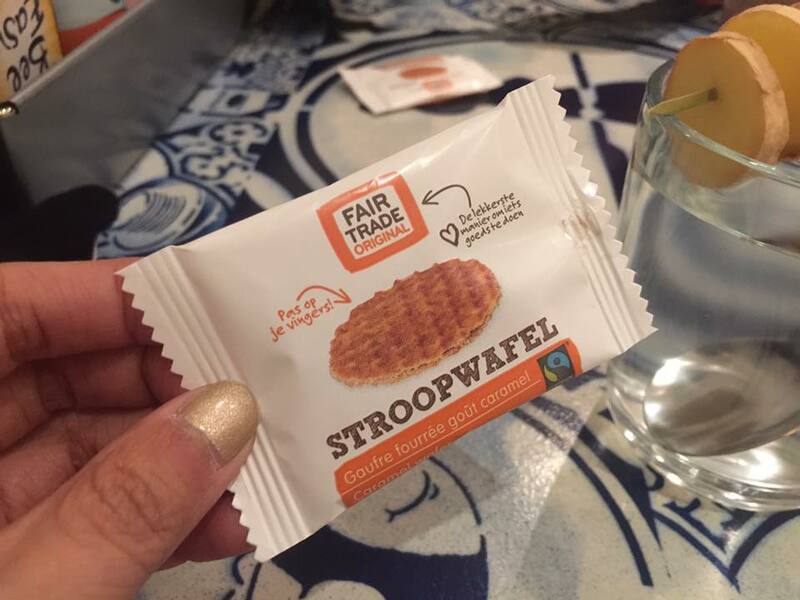 They give out a little stroopwafel as appertizer. The stroopwafel is a national snack in Netherlands, I think it is nice for them because I get to taste some stroopwafels. And they also present you a small wooden clog keychain when you leave as a souvenir. I don't know about those comments saying this place is overrated. I did enjoyed my food and I love the ambiance which is a small and warm cafe style. I think I would go back there again if I'm going back to Amsterdam. The food is very good, especially the bacon and cheese one. 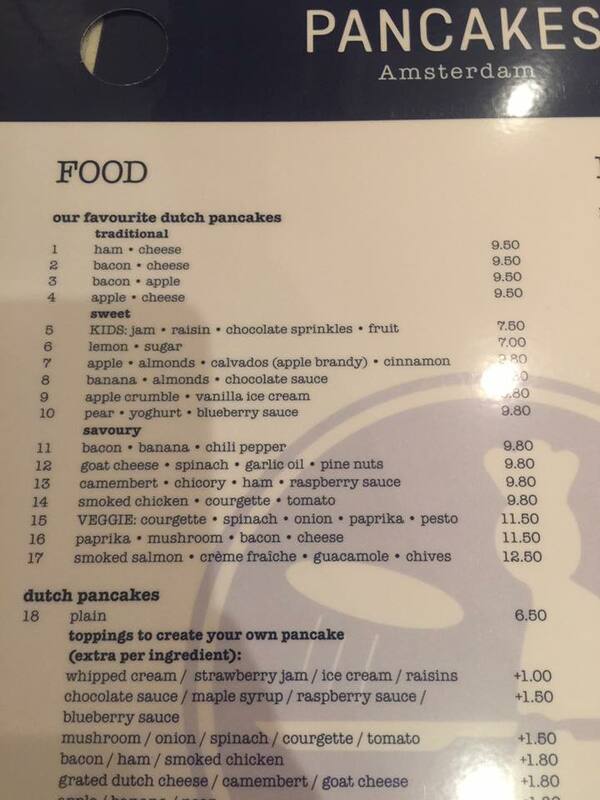 And I also find that the outlet at Berenstraat cooked better pancakes than the one opposite Centraal.